Abia Comets Football Club of Umuahia, on Sunday evening will be up against Osun United Football Club at the Umuahia Township Stadium in a Week 20 contest of the Bet9ja Nigeria National League. Time is running out for Abia Comets and Osun United to secure their respective goals for the season, which means that the stage has been reached where a defeat is likely to prove fatal for either side and it should be an exciting fixture. Comets will be hoping to defeat Osun United having lost 2-0 to Papilo on Thursday, while Osun United will expect to win to serve as morale booster having drew at home against Akwa Starlets on Wednesday. The Omoluabi Giants are coming into this game having been impressive in their last away game against AS Racine and will be looking to replicate such form against Comets. Abia Comets will rely on State of Osun born pacy attacker, Dauda Olalere, to light up the pitch on Sunday evening as they could struggle if he is having an off day. 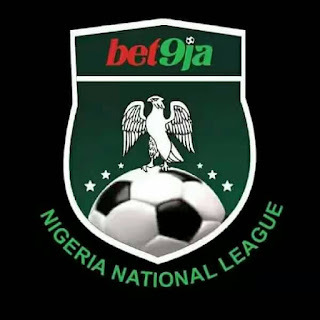 Though Comets are far from a one man team, they have strength all over the pitch and they have arguably one of the most passionate sides in the NNL with Ibrahim Olayowoyin, Obioma Arinze and Okoro Marshal, also threats to their opponents. Osun United must simply stick to their game plan, and play good football in at their feet when they need it, defending as a defensive and midfield unit, and looking for Hakeem Olalere, Victor Okeji, Chinedu Emmanuel, Jide Fatokun, as outlets to create chances for Osun United to be capable of doing damage. The 'Believe and Achieve' gladiators do not however just rely on few players, as they have an incredibly strong midfield and a defence capable of stopping Comets in their tracks and a good performance for them is vital. Osun United are placed eight on the log with 26 points, while Abia Comets are placed twelfth on the log with 23 points.